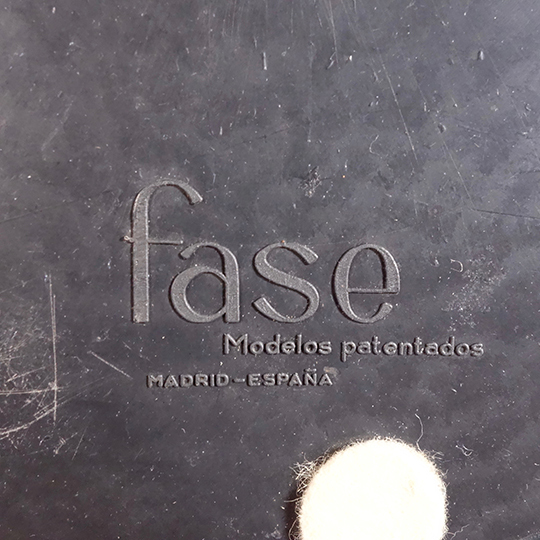 The elegant 'boomerang 2000/ Arco' model was one of the first designs produced by the Spanish company Fase in the mid-'60s under Franco’s regime. 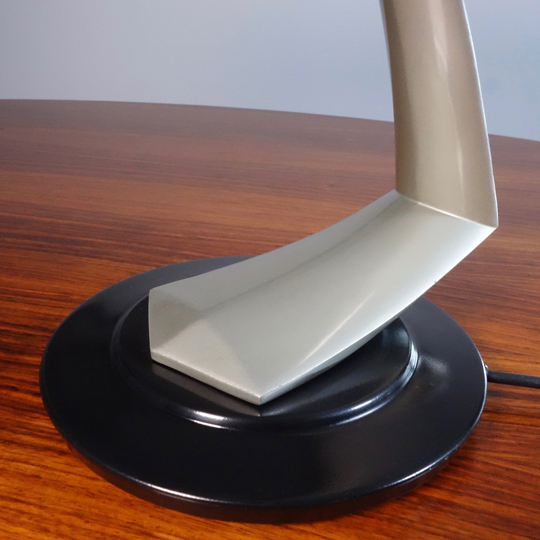 This striking metal desk lamp comes in a black and light grey lacquered finish. 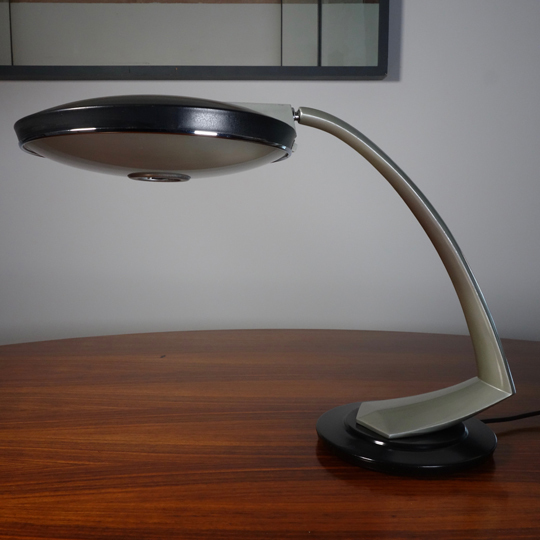 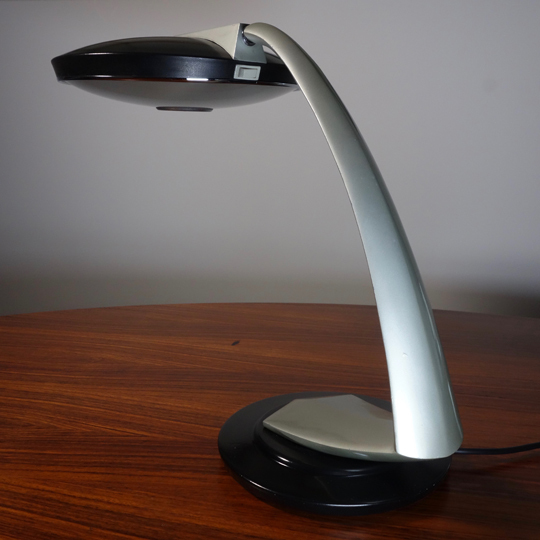 The base swivels 360 degrees allowing the lamp to make a full rotation on itself. 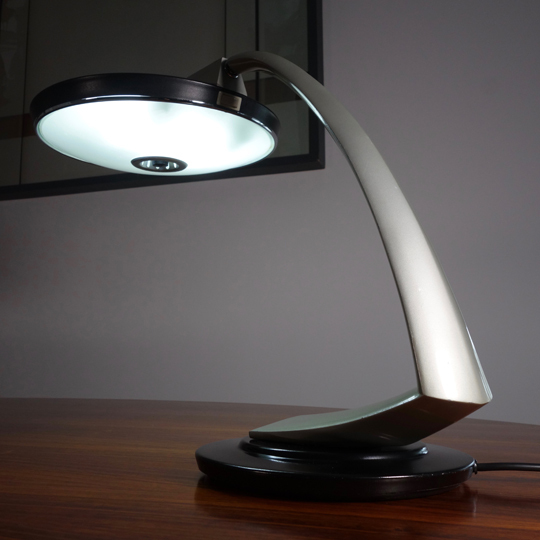 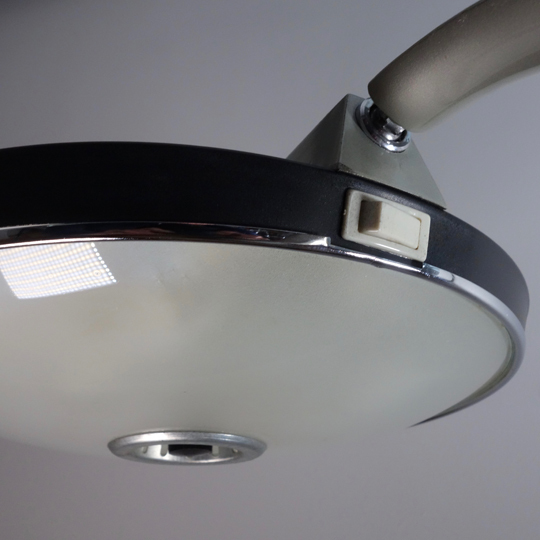 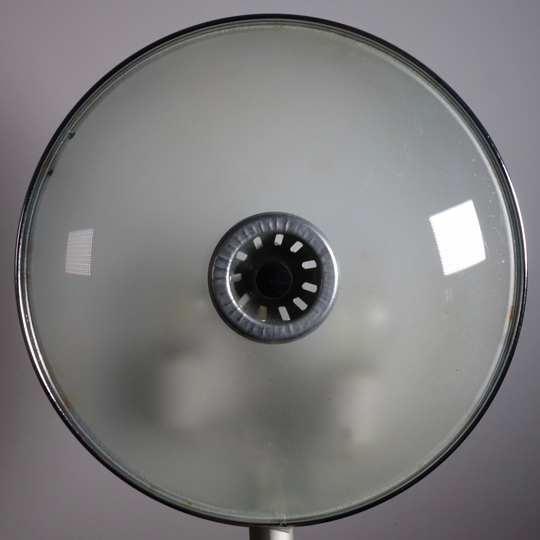 The shade can also be articulated and contains a glass diffuser concealing two bulbs (E27). 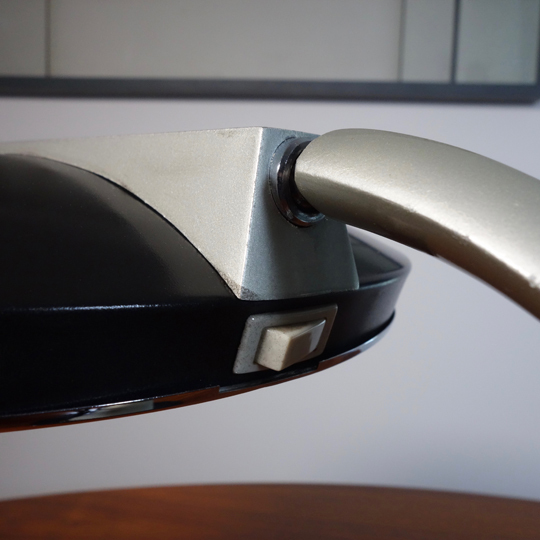 Light switch located on the back of the head. 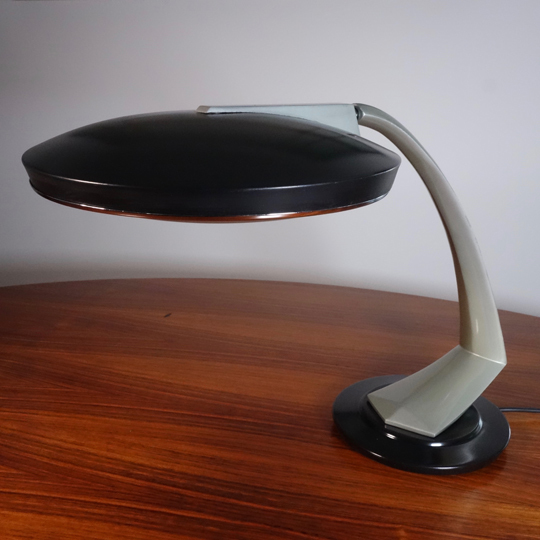 A beautiful and timeless design that will bring style and class to any interior. 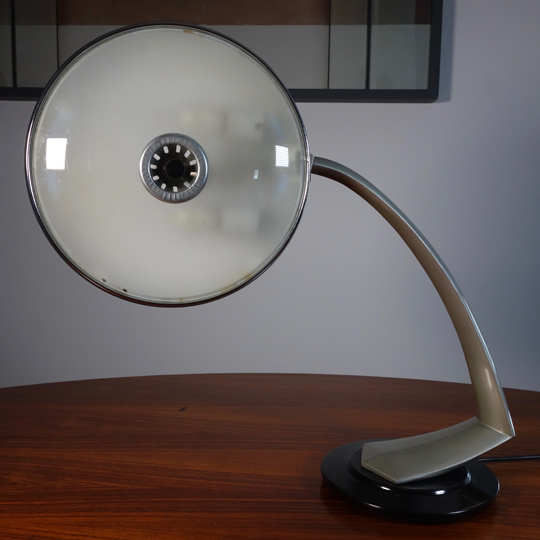 In good vintage condition with light signs of wear on the shade and body, but nothing deterring from its charm.